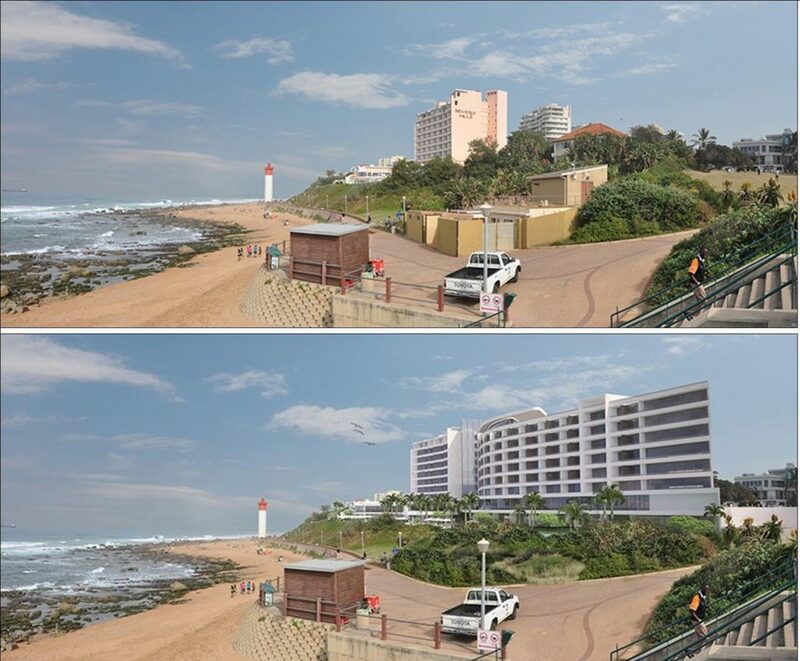 The demolition of the last free-standing house along the uMhlanga Rocks promenade has begun. This house, bought by Tsogo Sun many years ago, is being demolished as part of the extension of the Beverly Hills Hotel, which is to begin shortly. The house will be reduced to a shell by the end of the weekend, with the full demolition to be complete sometime next week. Below is an artist’s impression showing the current layout of the hotel and below that the extension plans.